As Microway’s default cluster management option, MCMS is designed to optimize your end-user and administrative productivity. Built atop open-source tools, Microway expertise in hundreds of cluster shipments, and your requirements, MCMS delivers an optimal set of tools so you can make the most of your cluster. 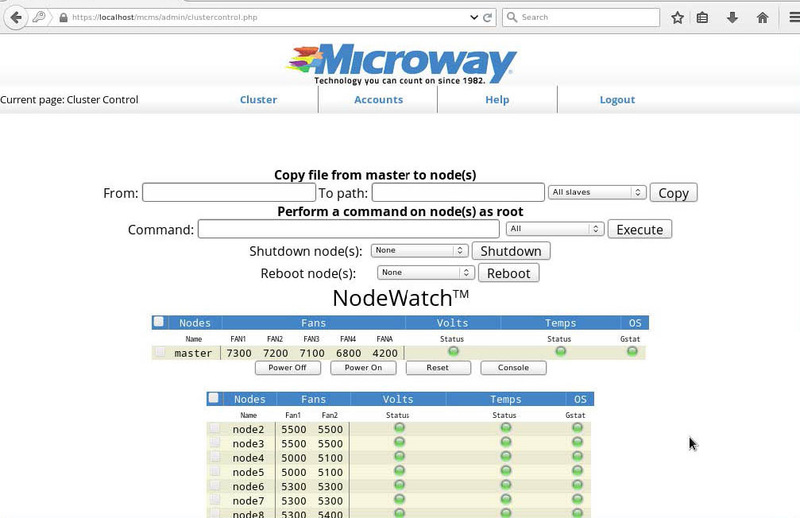 MCMS is available exclusively for Microway clusters. If you would like to learn more please contact one of our HPC experts.